As with many things in life, consistency is key. Whether you clean your home yourself or you schedule a professional house cleaning in Carmel, Indiana, having a good cleaning routine will make all the difference. To help you get the best results, reputable house cleaners in Carmel, Indiana allow you to schedule recurring cleanings. But how often should you perform standard cleanings? What about deep cleanings? 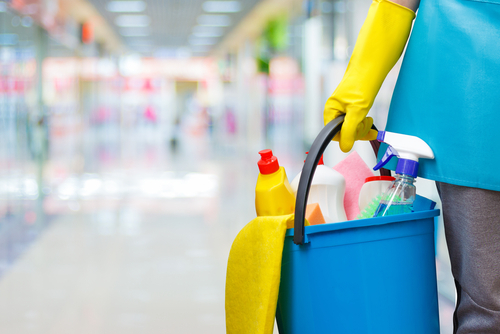 In this article, we’ll tell you everything you need to know to set up an excellent cleaning schedule that will enable you to keep your home clean at all times. Read on to learn more. How often should you clean things in your house? As a rule of thumb, you should give your home a basic cleaning at least once a week, with two times being the sweet spot for most people. Dusting light fixtures and ceiling fans. Dusting window blinds and sills. Dusting pictures, framed photos, and other decorations. Dusting, polishing, and vacuuming the furniture. Washing the top of the stove. Scrubbing and disinfecting the sinks. Cleaning the bathtub or the shower. Cleaning all bathroom fixtures and counters. That being said, there are many factors that may cause your home to require more frequent cleanings. For instance, dog or cat hair can accumulate in no time. Families with children also tend to create much more clutter than, for example, elderly couples. What is deep cleaning and how often do you need it? Deep cleaning is an extra-thorough cleaning service that aims to remove the deeply-ingrained toxins, allergens, and grime. It takes more time and uses stronger cleaning supplies, but it’s worth it because, unlike basic cleaning, it provides longer-lasting cleanliness. Cleaning behind and under kitchen appliances. Washing pillows and throw blankets. Sweeping and mopping under and behind washer and dryer. How do you schedule house chores? As with most things in life, keeping a tight cleaning schedule is critical if you want to maintain a pristine home. This goes double if you have pets or children, or if you live in an area that gets a lot of dust build-up. Pick two days out of your week (one of them can be on the weekend), and devote two or three hours out of each of them to cleaning. If you have children, have them help out. It’s a great way to get them used to keeping their homes tidy. That being said, life is often too hectic to stick to an ironclad cleaning schedule. Thankfully, professional cleaning companies enable you to effortlessly book recurring cleanings through their online booking forms. Here at Deluxe Maid, we’re in the business of providing affordable home cleaning services that make short work of a messy house. We’ll happily deal with the dirt and clutter while you watch a thrilling play at the Palladium at the Center for Performing Arts. Between our superb track record and our 100% client satisfaction guarantee, our premier house cleaners in Carmel, Indiana are sure to give you the perfect cleaning you’ve always wanted. Get in touch with us today.